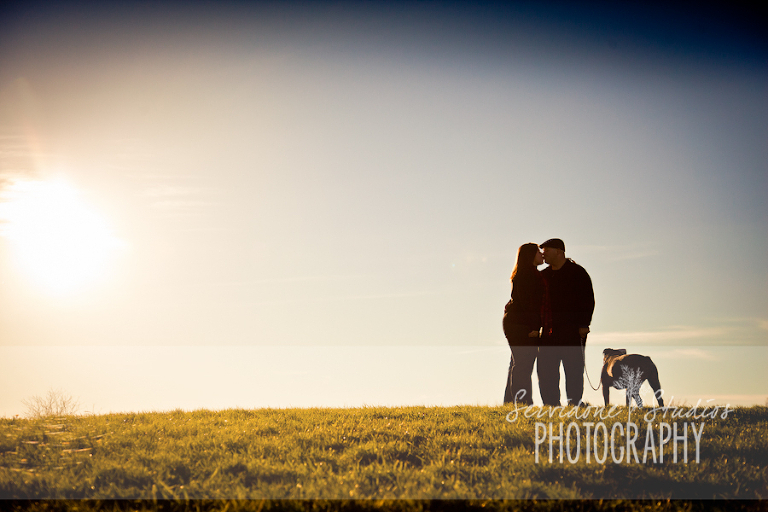 It was only fitting that Lynn & Mike brought their dog Moose to the engagement session, as Moose played a part in the proposal to Lynn. I am looking into adopting a puppy, so, I have dog fever right now…and, Moose’s face made me melt! 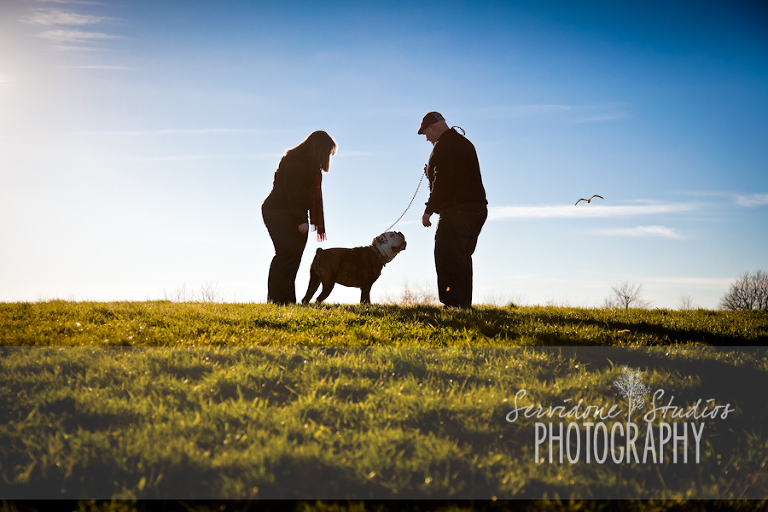 Lynn, Mike, & Moose took me to a park they frequent together at Castle Island in Southie. It was a freakishly warm November day… I even saw a kid with shorts/t-shirt on having an ice cream cone. Only in Boston in November. I swear. I hope you enjoy the photos! 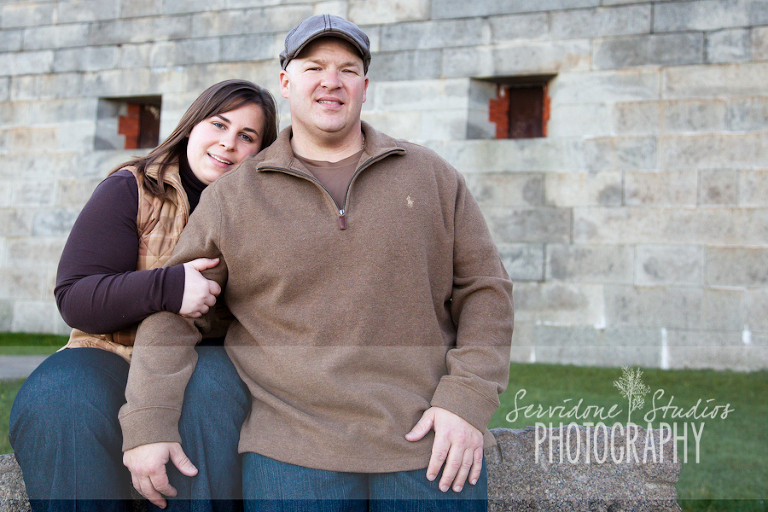 I am looking to shooting your wedding this summer aboard the Majesty out of Boston Long Wharf! 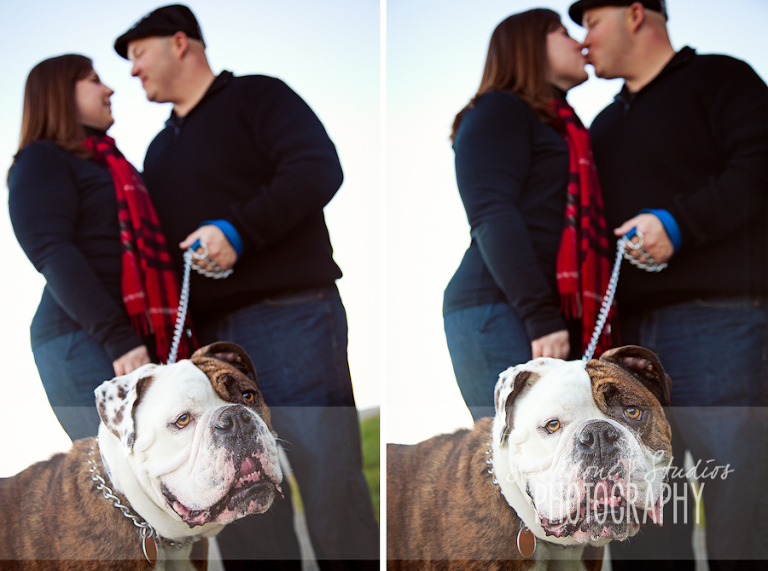 I love these two photos… I can’t even decide which I like more! Nice timing Plane! Yowza. Beautiful ring in one of the last few autumn leaves. Sunset shots… you can’t beat them. Gorg!